Dr. Anil started his clinic in 1986 and was the first ophthalmic surgeon to introduce IntraOcular Lens(IOL) Implantation, Microscopic Eye Surgeries, in Jammu in 1980s. 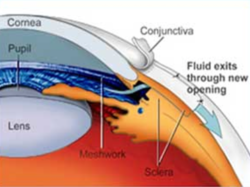 He was also the pioneer in introducing Phacoemulsification technique for cataract surgery in the state of Jammu and Kashmir. 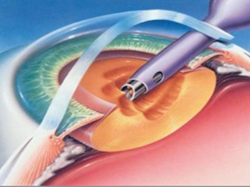 • Phacoemulsification (Stitchless Cataract Surgery). Dr. Anil has experience of more than 30,000 surgeries and also conducts multiple free eye surgery camps every year. - As a part of our extensive charitable services, Santosh Eye Care Centre organizes charitable eye clinic – NIRMAL CHARITABLE EYE CLINIC, every Saturday, 2pm to 5pm. - Gift Light - Sponsor A Patient – As a gesture of charity, you can now sponsor surgeries for patients who cannot afford to pay for their dues. We at Santosh Eye Care Centre assure you that such surgeries will be charged the minimal possible amount for the surgery. 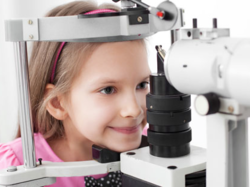 Santosh Eye Care Centre is in contact with various Old Age Homes, NGOs and Charitable Institutions in the city who have a long list of patients who need these surgeries.